Fully Managed VPS. Free cPanel. High Performance VPS. 99.9% Uptime. Low prices don’t have to mean low quality. At tmzVPS, we’re delivering a great service at an unbelievable price. But we aren’t cutting corners. We use powerful servers, with fast storage arrays. We connect through diverse bandwidth providers, so we’re getting good routes and reliable connectivity. We keep on top of maintenance, for security and stability. And we monitor all of our systems, so we know immediately if something needs attention. There’s nothing more frustrating than being unable to reach support when you’ve got a question or problem, right? That’s why we run a 100% in-house technical support team, online and available 24 hours a day, every day of the year. tmzVPS offers a truly amazing value in managed VPS hosting. You owe it to yourself to give it a try. TMZ Hosting has got to be one of if not the best hosting provider at the moment for me. Why?? Simple really, their servers are fast enough to host most website genres, their prices are very affordable and their support is out of this world. The result has been very smooth sailing to date - we are extremely happy with them, feel that they offer tremendous bang for the buck but have not cheaped out anywhere in order to do so, and I know we will take up more vps from TMZ as time progresses. Thank you TMZVPS, I will always recommend you ANYTIME, ANYWHERE and to ANYONE! High Performance VPS. 24/7 Support. Enjoy superior performance and class leading uptime with our pure SSD managed VPS. Our managed SSD VPS plans start from $28 per month. Supercharge your website performance our all-flash storage. Your managed VPS will be provisioned on one of our NVMe clusters, or on SSD-only RAID10 arrays. You’re guaranteed to get top-tier disk performance. Our in-house support team is standing by to help any time. Whether you’ve got a simple question or a major problem affecting your server, we’re ready to jump in and get it taken care of. With TMZ you’ll get lightning-quick responses from experienced technicians. We offer free website and server migration for any compatible OS/control panel. Let our experienced staff take care of the move, so you don’t have to worry about it! Premium KVM VPS. 99.9% Uptime. Our KVM virtual servers offer high performance and reliability. 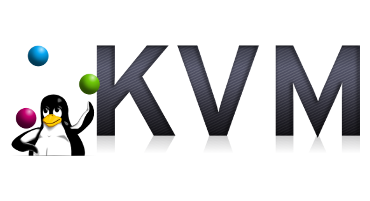 A KVM VPS runs on its own dedicated kernel and resources. 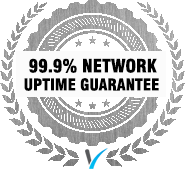 By utilizing enterprise grade virtualization, we are able to offer a 99.9% uptime guarantee on our KVM SSD VPS. 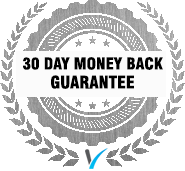 We offer 30 day money back guarantee on VPS orders, applicable for new customers. We offer unmatched server uptime guarantee to ensure that your VPS is always online. 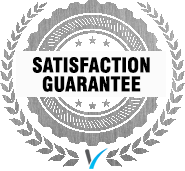 Customer satisfaction is our top priority and we ensure that every customer is satisfied. We offer managed VPS and unmanaged VPS located in the USA and the UK. We want to make sure that all of our clients receive the fastest possible VPS that is located near their audience. Feel free to select the location best suited for your website visitors. Both of the facilities offer premium network connectivity and class leading uptime. We guarantee you would not be disappointed. If you need help to choose the best location please contact our sales team. A VPS is suitable for small businesses and enterprises who do not require the resources of a dedicated server, without compromising on security or features. Our pure SSD virtual servers offer similar reliability and performance as that of dedicated servers but without the added cost. In the future when your website outgrows the limits of a VPS, you can just contact our sales team and enjoy free data migration to a new managed dedicated server. We are committed to making your experience with tmzVPS enjoyable. As you can probably tell, we’re proud of our managed VPS offering. We deliver incredible value at a reasonable price for anyone that needs help with keeping their server humming along. But we also understand that some people would prefer to handle it themselves. That’s why we offer virtual servers running on our same great hardware, backed by the same great support people, but without the cost and overhead of full server management. If you would prefer to manage your server yourself, or if you have a tech team that can manage it for you, then our unmanaged VPS hosting might be for you. Powered by fast, solid hardware. Connected to top tier networks. And supported by a 24x7 team that’s fast and friendly. You won’t find a better deal on a top quality unmanaged KVM VPS than tmz!